Should Players Get A Choice When Resetting MLO? And even more recently, we have our latest post from yesterday regarding the fact that Konami haven't ruled out resetting everyone in MLO. 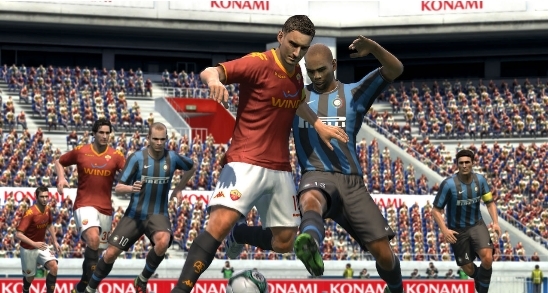 Like most of you, I like to spend some of my day surfing the various PES forums on the net. I've been increasingly interested in the whole MLO/cheaters debate, and whether Konami should reset Master League Online. I've come to the obvious conclusion that if this did happen, players would be annoyed - to say the least. To say the uproar in the community would be significant is an understatement! Could Konami give players the choice to be reset, or not? In this scenario, there would be two MLO systems - the current one that would remain untouched. And then a new one, where teams would be reset forcing players to start again with the ML defaults. I feel this would be fair, as it would give all players the choice and not force them to do anything. (I would suggest allowing players to have two MLO teams, but that's another issue). Note that the cheaters would have to be punished and all the cheating methods would have to be fixed first for this to work, obviously. I strongly believe that this system would be beneficial for everyone. Players who have honestly built up their team, could continue to strengthen their team, whilst playing against the other well-built teams. Unfortunately, the cheaters who have avoided the Konami radar would still be around - but most of the cheaters aren't that good at the game anyway! We then have the new MLO system. It would be exactly the same as the other one but with one (well, two...) major benefits; there would be no cheaters that have exploited the game - and also no cheating methods, as they have been patched over - like how the own goal cheat was fixed. Whether this is actually possible, I don't know. Despite that, I feel it's quite an interesting topic that could produce a lot of discussion. I'm not a particularly cocky guy, but I would certainly considering sharing this idea with Jon Murphy and the rest of the Konami team. ... But I'll wait and hear what you guys think first, before I start thinking about that!